Through his long, distinguished career, Fred Hinger served as timpanist with both the Philadelphia Orchestra and the Metropolitan Opera Orchestra in New York City. He was one of the most innovative players, teachers and product designers in the history of percussion. His students hold positions in major orchestras, chamber groups and teaching positions around the world. These mallets incorporate some of Fred Hinger’s patented design features which set them apart from any other mallets on the market today. The highest quality German felt is hand-sewn in the tradition of the original Hinger Timpani mallets. 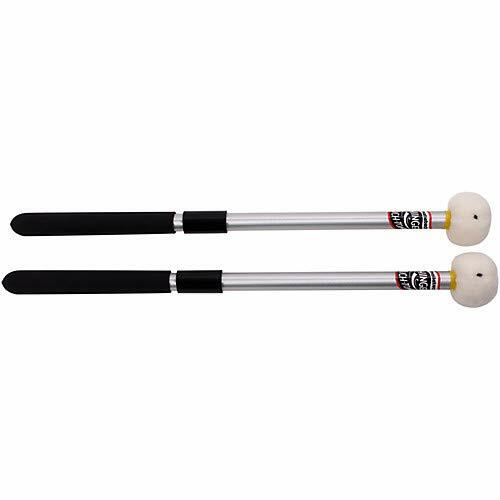 With eight models, two styles of handles and the ability to adjust the feel and touch of the mallet, the Hinger Timpani mallets give an unlimited palette of sounds to the performer.